Is the idea of adding a new family member to your household becoming an increasing concern as you want to please your children (and yourselves) but also be reasonable and make the right decision and choose the “best” dog breed? If someone just tells there’s one best dog breed for kids without any considerations taken into account, you should immediately look further. 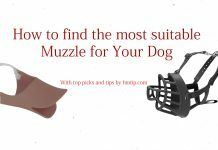 Therefore, this article is devoted to finding the most suitable dog breed for your household – what to consider when picking your new four-legged companion and how to deal with the specific dog breed. First, let’s go through all the components you have to be serious about. After that, you’ll find our list of top family and children-friendly dog breeds with descriptions and how they correspond to the aforementioned components that must be considered before enriching the household with one more soul. Do you live in an apartment or a house with a backyard? Obviously, the latter is more suitable for more active and larger breeds. If you live in an apartment BUT have an open space nearby and are willing to take a walk there not just once but at least 3 times a day, an active larger breed can be considered as well. Now, after you’ve looked at the place you live in, this is extremely crucial when it comes to picking a breed. You must have the time and energy to interact with your fella if the energy level of the dog requires so. Otherwise, it may sadly lead to unwanted behavior problems. If you choose an active dog breed, consider it taking with you on hiking trips. The worst thing you can do for an active breed is to leave it home with nothing to do. If you choose the latter, the least you could do is provide it with solid interactive toys to pass the time in both mentally and physically healthier way. With that being said, it’s still important to have a live interaction with your four-legged friend on daily basis. By this, we mean both humans and other pets. Some dog breeds are more suited to an interaction with adults only, whereas others are keen to socialize with toddlers, too. Usually, larger breeds have a better tolerance of preschoolers than some smaller breeds that can get quite crusty. Sometimes even gender comes into play as well but that depends more on the individual dog’s personality and temperament. Humans aside, it’s quite a factor when it comes to other domestic carnivores, cats. Some dog breeds don’t feel the natural feud between these two, however, it depends a lot on their upbringing and their first interactions with the cats. They may have had a traumatic experience and, regardless of the breed, this can be a huge drawback for any breed. Although it depends on a cat too, it’s better to choose a young puppy with no history of cats (or only positive) to bring into the household with an already accustomed pet. However, the best case, most likely, would be to introduce these two when they’re both equivalent to human toddlers. You can read more about this topic in the article about how to help your dog and cat get along. A native of Scotland, you might be familiar with this herding dog breed for a fictional character named Lassie from E. Knight’s novel adapted in various TV shows and films. This truly loyal beast is considered one of the most intelligent dog breeds out there. It is trainable and follows commands really well. They are gentle with children, and as they are predictable in nature, they make a great companion in any welcoming household. They’re actually not the worst watch dogs as well, as they really know how to bark and seem protective, although they are not known for their aggression at all. Q: What is the recommended environment and lifestyle? A: Collies do need exercises requiring an active lifestyle. They need to be challenged both mentally and physically to meet their huge potential and to make the dog happy. For these reasons, an open space (house with a backyard plus some walks outside, preferably) is recommended. Q: How children-friendly are they? A: Very smart and active kid-friendly breed, especially when trained (one of the easiest breeds to train). A: Likely not the most suited for a household with a cat (especially, an older cat who really doesn’t like to be chased). Although they’re not aggressive, your cat might not be fond on Collie’s herding instincts. If you have an older cat and still want to bring home a collie, consider a trained collie, maybe a rescued one with a positive history with cats and behaves well around them. Verdict: Ideal for families with children and without a cat who are willing to engage into daily activities with the companion, or at least can provide an open space for various activities. Here is a small breed dog that, in contrast to the larger collie, makes a great apartment companion and does not require as many outdoor activities. With that being said, it doesn’t mean Bichon Frise don’t enjoy exercises and various activities with its owner – in fact, we do not recommend this breed if you intend to leave it home all alone for several hours on daily basis. They may express their anxiety with excessive high-pitched barking, and they’re also notoriously known for the housebreaking issue. That aside, they make do make very lovely and children-friendly companions AND they’re usually good with other pets, such as cats, too. A: City life in an apartment is completely satisfying with some daily walks outside, however, you do have to meet this breed’s need for socialization. As this breed responds to training well, you should begin that as soon as possible. A: Unless some anxiety or other behavioral problem has been developed, Bichon Frise really is fine with everyone (do consider, however, that the most relentless toddlers would be better off with a larger breed that can bear more). A: Yes, definitely one of the best (most acceptable) choices if you have a cat. The success of their interaction, however, isn’t determined only by one side. Verdict: Great choice if you live in an apartment and can spend enough time with this fella. Doesn’t require so active lifestyle but regular socialization instead. Also, good with kids (maybe not the most barbarous ones, therefore, consider their temperament as well) and cats. Also, note that they require more frequent grooming than most breeds. Nevertheless, you can definitely consider this one of the best small dog breeds for kids, too. Yes, of course, this globally-loved breed had to make the top. And for good reasons, really. Intelligent, loyal, and very kind-hearted, Golden Retriever has proven to be one of the appealing choices for families with kids. Although not the best guard dog (far from it), the Golden Retriever holds a great characteristic of being easily trainable. With that being said, you have to face the reality – this high energy beast requires a lot of daily exercises. Open space is a must, therefore, a house with a large backyard is recommended. Just like Bichon Frise, the Golden Retriever doesn’t like being left alone for long. This breed likes to engage in various stimulating activities, especially, the retrieving game (e.g., it would enjoy playing frisbee with your kids). A: As you can see, open space and a company of yours with regular exercises are musts. Please do not condemn this lovely creature if you simply cannot provide what it truly needs. A: Honestly, in most cases, they’re friendly with everyone – toddlers, strangers, other dogs, and cats. If you’re looking for cat friendly dogs, Golden Retrievers come right up on the top. Bear in mind, however, that a mutual friendship is not guaranteed – as we said before, it’s not decided by one side alone. Verdict: This breed really is a golden value added to your household as it emboldens you to live an active and positive lifestyle. As we mentioned, not a watch dog, but that’s not what this list of dog breeds is about. Golden Retriever can handle several kids well, is truly devoted to the owners, and also friendly with everyone. If you can meet the aforementioned requirements, it’s hard to think of a better fit in a big welcoming family. Bulldog is also gentle and loving, however, unlike our previous pick, this breed also make a more solid guard dog with a great instinct to feel when something is wrong. This courageous dog can be very lively and playful as a puppy but usually become way calmer (lazier, if you will) with age. Because of this, bulldogs usually prefer “chilling out” on your couch rather than engage in athletic activities in the park which make them a great apartment companion. With that being said, they do require daily walks and fresh air, as do every dog breed. A: Bulldogs can feel comfortable in both apartments and larger houses (the latter is definitely not a must). They’re a pleasant company that doesn’t push you too much into various physical activities. A: They are very affectionate towards children (unless they’ve had some traumatic experience which basically goes for every dog) being able to build a strong bond. Might not be the most playful and active participants in certain activities, but definitely tender and kind-hearted. A: Not the worst, but would not recommend. They can also be very protective of their food bowl, therefore, others pets (and, in some cases, even children) should be kept away from this otherwise mellow dog breed. Verdict: A really good choice for families with children in an apartment and less demanding lifestyle in terms of various physical activities. This heavy-weight sweetheart is a great fit for outdoors families as the Newfoundland is a great swimmer who loves to engage in various activities. They are highly praised for their love and patience with children, and well trainable. This intelligent dog breed sports a heavy coat that requires extra care in terms of brushing to keep it healthy and beautiful. Newfoundlands are also welcome to strangers. 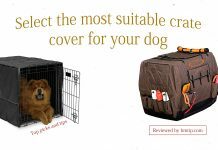 This might not seem like a good feature for a guard dog but their huge appearance can be frightening enough. A: Outdoor-type. Requires exercise and frequent grooming, too. A: Very. True friends with loads of patience and willingness to participate in various physical activities. A: We would say one of the best in this regard as they are very tolerant with other pets in general (the cat, on the other hand, might have a different taste in this). Verdict: All around a magnificent family dog who loves to socialize. Consider your environment and lifestyle beforehand, though. Just like the Golden Retriever, this might seem like a predictable choice. And we totally endorse it. Sturdy, kind-hearted, and intelligent, these dogs are well trainable. Furthermore, they are reliable and patient with children. Most Labrador Retrievers, just like the Newfoundlands, love swimming. As a lot of breeds in this family-friendly dog breed list, they require quite a lot of exercises and a suitable open space is highly recommended. Unlike Golden Retrievers and especially our previous pick, Newfoundlands, they are less challenging in terms of grooming – that’s thanks to their much shorter coats. A: Must have an open space to be exercised daily. A: Although every breed in this list is good with kids (that’s kind of the essence of this article), Labrador Retrievers can really be described as one of the very best. A: Although Labradors are not known for their high prey drive, it’s not non-existent in them, and their playfulness might not be so pleasant for most cats. At the same time, they respond well to training and therefore a household with both a cat and a Lab shouldn’t automatically be excluded. Verdict: A dear friend, Labrador Retriever makes a great companion for active families with any number of kids. Again, you really must meet the lifestyle and environment criteria here. Might not have the sweet looks of the Retrievers but their heart is in the right place – they’re truly spectacular with children. Muscular and tough in appearance, gentle in its manners. Although they obviously require daily walks and, in fact, fair amount of exercises to keep them fit and athletic, they are also happy to be indoors and are not so crazy about outdoor activities all the time – in fact, you should beware when exercising this breed on hot summer days as they are prone to heatstroke in these conditions. A: Although requires a fair amount of physical activities, the Boxer shouldn’t be the most challenging in this regard as it also is a decent fit in an apartment without the luxury of a backyard (though that certainly wouldn’t hurt). A: They are so children-friendly that they might even assume the kids are their own and be protective of them. A: With appropriate training, yes. Otherwise, the Boxer instinctively might want to chase the kitten, and it might not end well. Luckily, Boxers are relatively easy to train. Verdict: If you are looking for a children-loving dog breed with whom you can have some nice morning and evening runs, at the same time you must face the reality of your circumstances and hold the dog indoors as you don’t have a fenced open space of your own, consider the tough but kind-hearted Boxer. Make no mistake though, these athletic breeds do need the daily dose of stimulating exercises, too. As stated above, we are talking about Standard, not Miniature Poodles, explicitly – the latter ones are a completely different story. The elegant Poodle is a really wonderful family dog breed with deep affection towards children. Just like our other small breed in the list, Bichon Frise, the Poodle doesn’t enjoy being left home alone at all. It is important to spend time with your companion and to train it as the Poodle responds very well to training. Make sure, however, to do that early on and not to spoil your four-legged friend as the Poodle can start assuming the alpha dog role in the family. Also, you have to consider the high standards of grooming. Although you can groom the dog yourself, most Poodle owners tend to choose a professional groomer on monthly basis. A: A fashionable lifestyle. 🙂 Truth be told, you really must take care of this treasure. Dwelling-wise, however, there’s no need for very spacy rooms and a backyard. You must lead such lifestyle that entails being in contact with your little friend regularly as they hate being left completely alone. A: They are very friendly towards kids and good playmates, however, they might not be able to tolerate as much as other children-friendly breeds that are larger in size. A: Poodles are not likely to chase a cat in a household, and generally are friendly towards them, and the cats usually don’t feel very intimidated by them, too (size also plays its role here). In fact, this is one of the most realistic friendships in terms of a dog-cat match. Verdict: If your searching for the best small dog breeds for kids, the Standard (not Miniature, not Toy) Poodle should come across as the perfect fit. You have to consider the grooming effort, though, and the constant presence of at least one member of your family. All the breeds mentioned above have a common trait – their positive attitude towards children. So, these were our top 8 picks for the best dog breeds for families with kids. Most of them can be quite physically demanding, and you may also notice that most of them are larger breeds, although we’ve given a couple smaller breed choices that could fit into your family as well. With that being said, it would be senseless from us to rank these in a certain order without knowing your needs and circumstances. 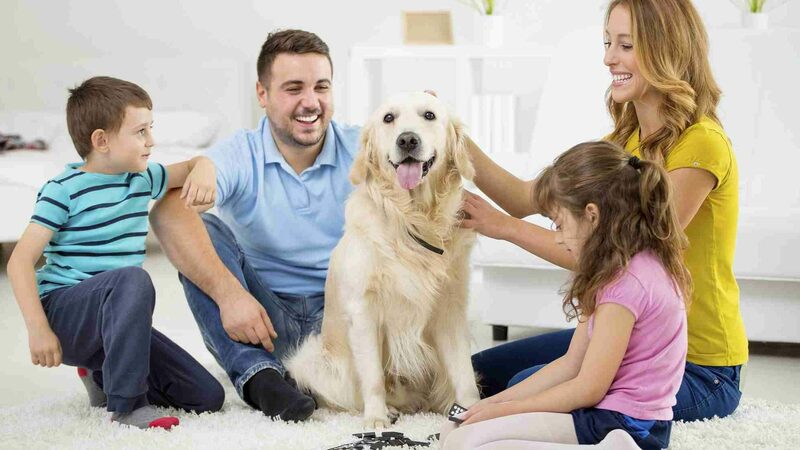 Therefore, we have prepared something more solid for you – a top list with dog breeds for children and main things to consider to pick your best new family member for your individual situation. That way, you can easily do the ranking yourselves with a solid understanding or at least a hunch about what it would be like to own one of these beings. You also have to understand that not everything is determined by the breed alone. The truth is, there are countless smaller considerations that influence the behavior of the individual. Therefore, you should have a solid background-check on your potential family companion – seek for trustworthy dog breeders. If you consider welcoming a rescued dog, check its history as far as possible, to know what to reckon with. If you wish to discuss further, feel free to leave a comment or drop us a mail explaining your conditions more in-depth. In addition, if want to share your stories or suggestions, don’t hesitate to enlighten your fellow citizens by leaving a comment for this article. I found it interesting when you said the golden retrievers are energetic and eager to please. My son had an accident during football practice last week. This caused him to miss a game that he has so badly prepared for. In a way, he sulks by playing games on his tablet all day long while he is still recuperating. My husband thinks that getting him a pet dog can help improve his outlook, but we’re unsure about which breed would be best. Now, we do! Thanks for this very informative read!